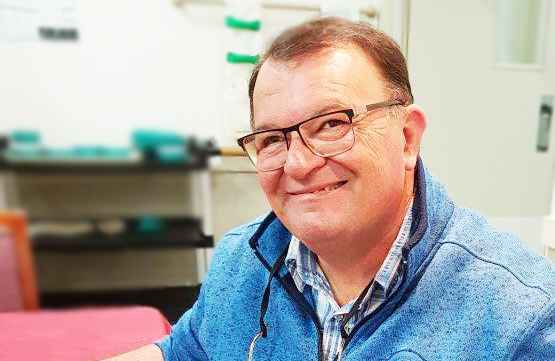 A volunteer at Chamberlain Gardens in Wyoming has been named a finalist in Volunteering Central Coast’s Volunteer of the Year award. Brian Dolan volunteers at our Central Coast Home three mornings a week, and helps residents get ready for breakfast, go to hair appointments and with lifestyle activities such as bus outings. Chamberlain Gardens Volunteer & Pastoral Care Coordinator Mark Vickers, said Brian never turns down an opportunity to help with any activity. “The staff and residents all enjoy happy personality and company he’s a true asset to have at Chamberlain Gardens. He will always be the first to help, and will offer him own personal time without you having to ask,” he said. 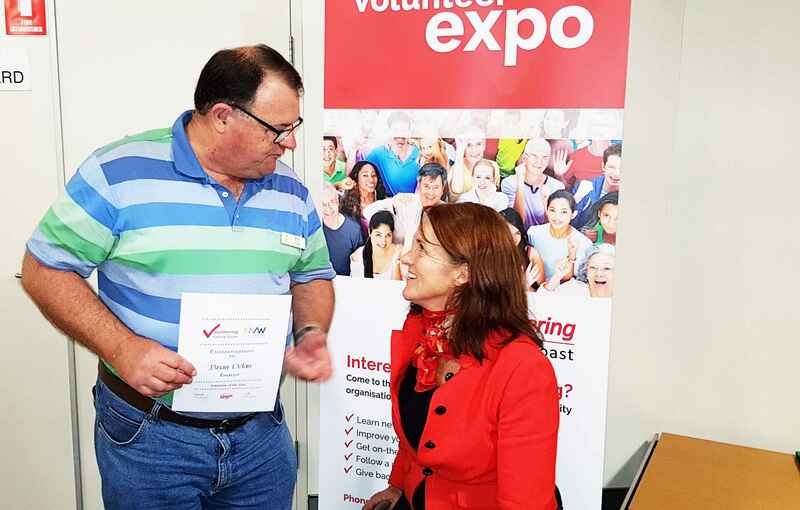 Gosford MP Liesel Tesch presented Brian with a Finalist award certificate for volunteering. If you are interested in volunteering at any of our Homes please contact our Pastoral Care and Community Services Manager, Stuart Muir, on 0425 293 792 or smuir@chomes.com.au.